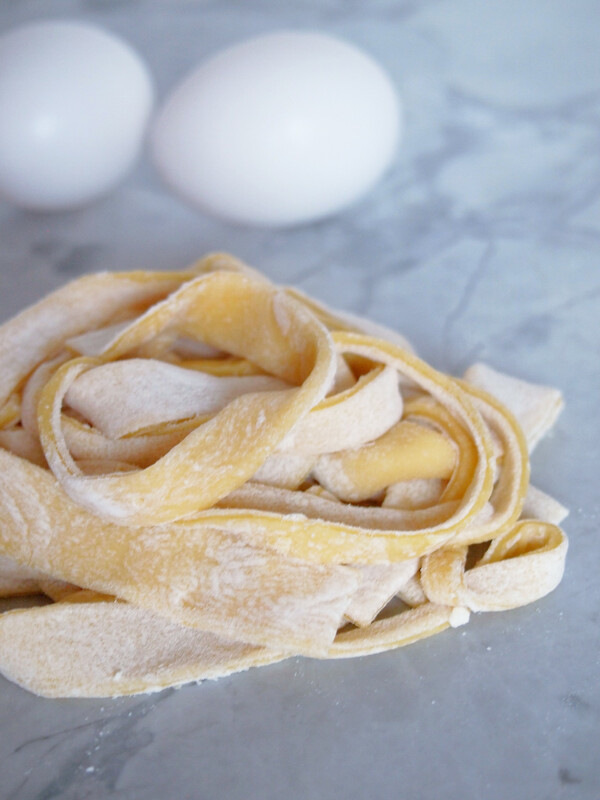 Fresh and tender homemade egg noodles elevate even the simplest of dishes. 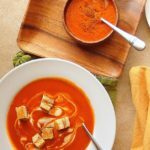 They are as delicious in soups as they are tossed in a light sauce. The recipe easily scales up to have homemade egg noodles on hand in the freezer for easy meals anytime. Quite a few years ago, I used to frequent a neighborhood deli in which I was obsessed with the chicken noodle soup. I know! What’s so exciting about chicken noodle soup? Well this particular soup is full of homemade egg noodles. Up until that point, I viewed the idea of making noodles as best left to Italian grandmothers or some sort of mystical kitchen sorcery. I believe my response was along the lines of, “You MADE the noodles? YOU CAN DO THAT? !” Being the sweet guy that he is, Rex let me watch him make the noodles. After seeing how it’s done, I was amazed at how fast and easy the process was. Since then, I have taken to making homemade egg noodles from time to time because they elevate even the simplest of soups or pasta dishes. I realize that there are several variations of basic recipes for homemade egg noodles on the inter-webs. 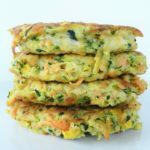 My homemade eggs noodles come together with three simple ingredients: all purpose flour, kosher salt, and eggs. Start by whisking the flour with a little kosher salt. Make a well in the center and add three eggs. Lightly beat the eggs with a fork. 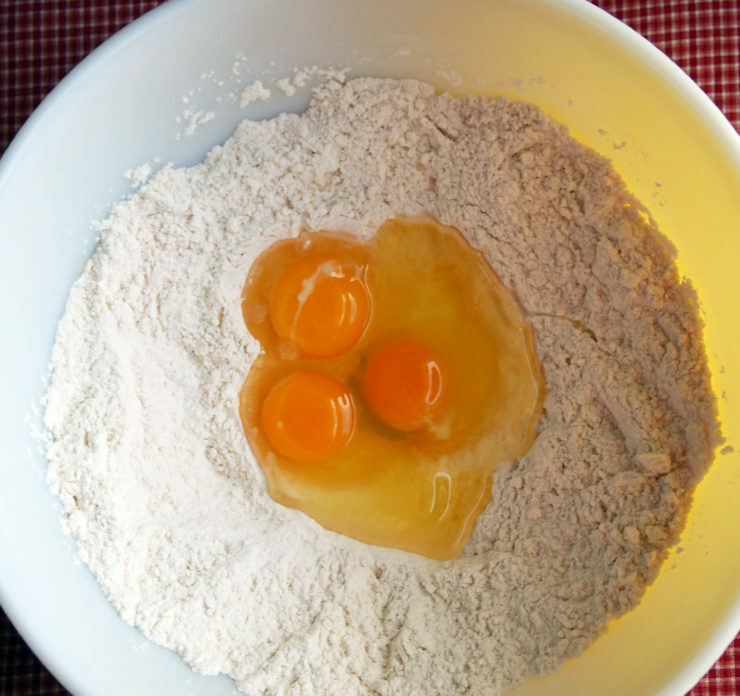 After beating the eggs, use the fork to gradually stir in the surrounding flour until it starts to form large clumps. Keep stirring to incorporate more flour, lightly smashing the clumps against the side of the bowl until it forms a sticky dough. It’ll look a mess, but it’ll all work out in the end. I promise! Scrape the dough onto a floured surface. Begin kneading the dough to incorporate enough flour to make a smooth and supple dough. Cover the dough with a clean towel and let it rest for about 5 minutes to give it time to relax. Dust the top of the dough with flour. 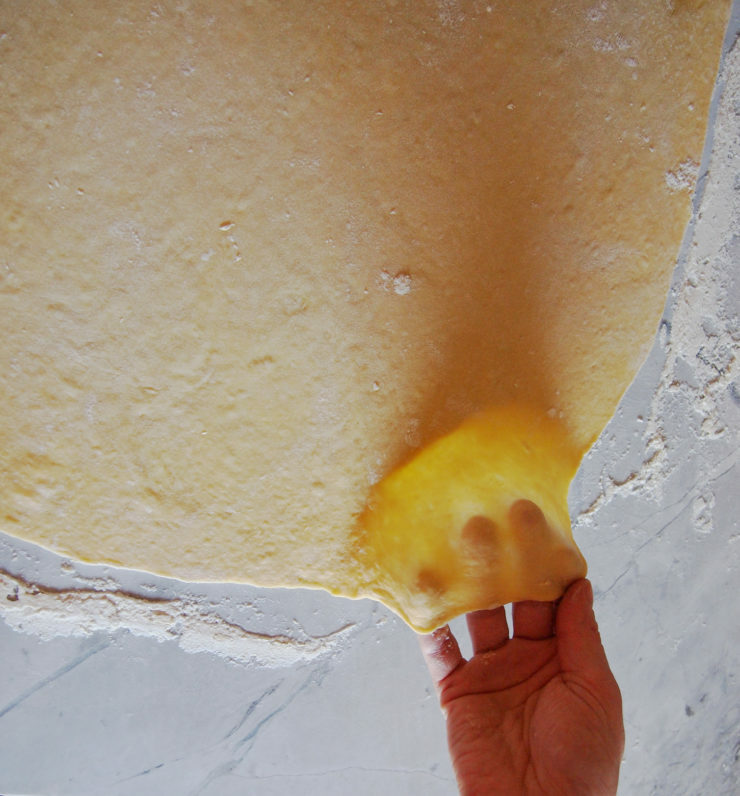 Roll the dough into a large, thin rectangle. The dough should be thin enough that when gently lifting it, it should be translucent enough to see your fingers underneath it without tearing. If the dough doesn’t want to cooperate, cover it with a towel again and let is rest for a few more minutes before trying again. Cut the dough into pieces that are slightly smaller than your desired size. The noodles will expand when cooking. Be sure to use a large pot of salted water to cook the homemade egg noodles. The noodles need plenty of room to agitate in the boiling water without clumping and sticking together. Fresh egg noodles cook far faster than dry noodles from a box–we’re talking between two and five minutes, depending on size and thickness. Drain the noodles and toss with a little butter or olive oil and a sprinkle of salt, pepper, and fresh herbs for a simple dish. Or perhaps top with a really great fire roasted tomato sauce, lighter chicken stroganoff, or your favorite pasta toppings. 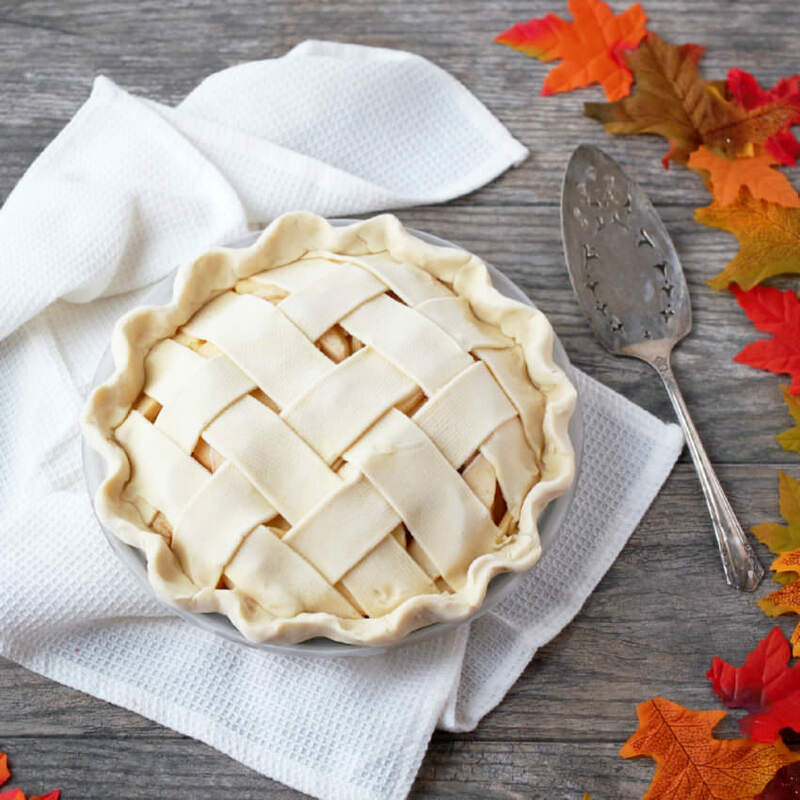 Whisk the flour and salt together in a large bowl; form a well in the center. Crack the eggs into the center of the well. 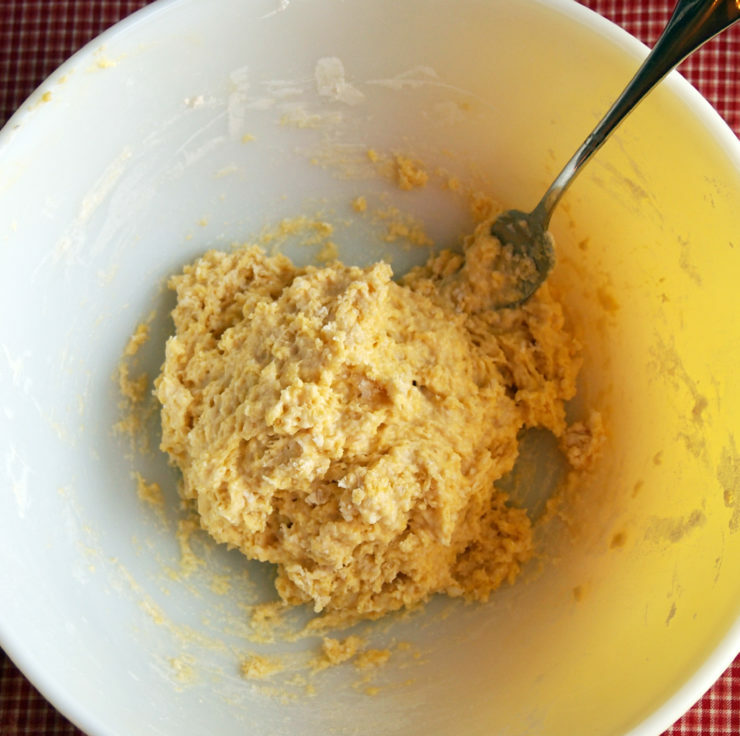 Lightly beat the eggs with a fork without mixing into the flour. 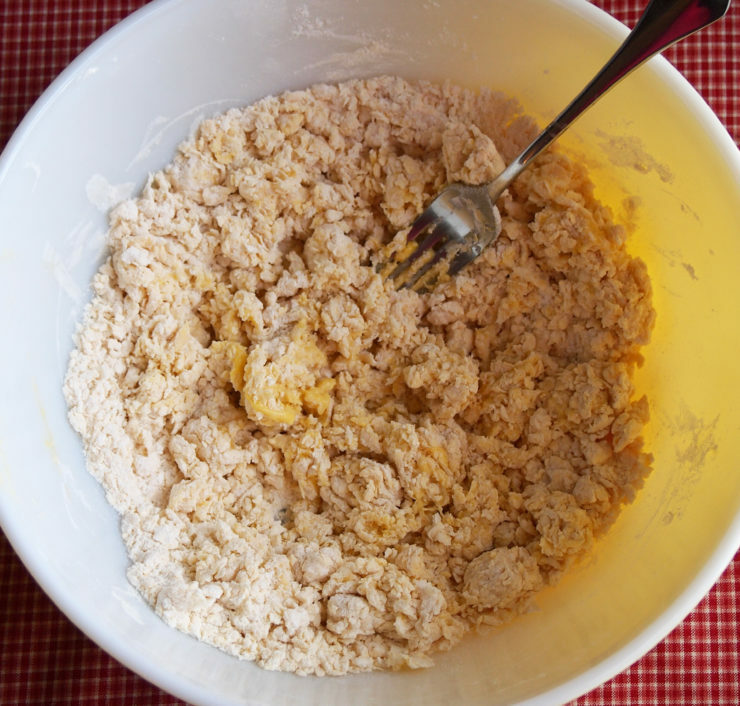 Once the eggs have been lightly beaten, stir them into the flour mixture to incorporate until the ingredients come together to form a shaggy dough. Turn the dough out onto a lightly floured surface and knead for 5 minutes or until smooth. Cover the dough with a clean towel and allow to rest for 10 minutes. Re-flour the work surface and top of dough. 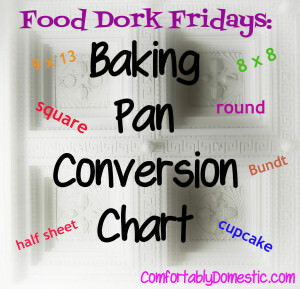 Roll out the dough out to a 1/8-inch thick rectangle. 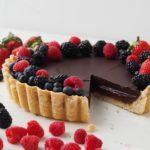 The dough should be thin enough that it appears nearly translucent—when lifted, you should be able to see a little light and the shadows of your fingers underneath. 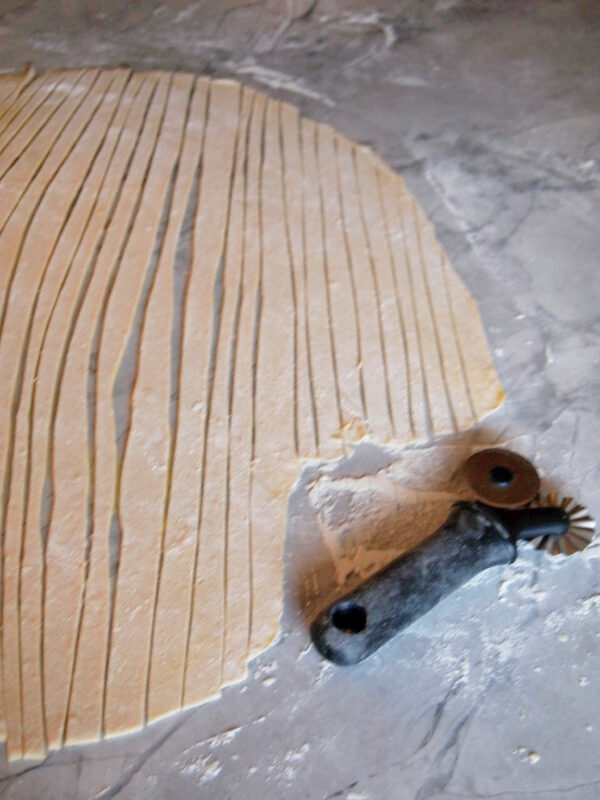 Use a pastry wheel or pizza cutter to cut strips of dough to desired size of noodles. Cut long strips lengthwise, and then cut strips to size widthwise. I like to slice the dough into strips that are ¼?- ½” wide and 2”-3” long. Noodles will be slightly sticky on the cut edges. Lightly dust the noodles with flour. 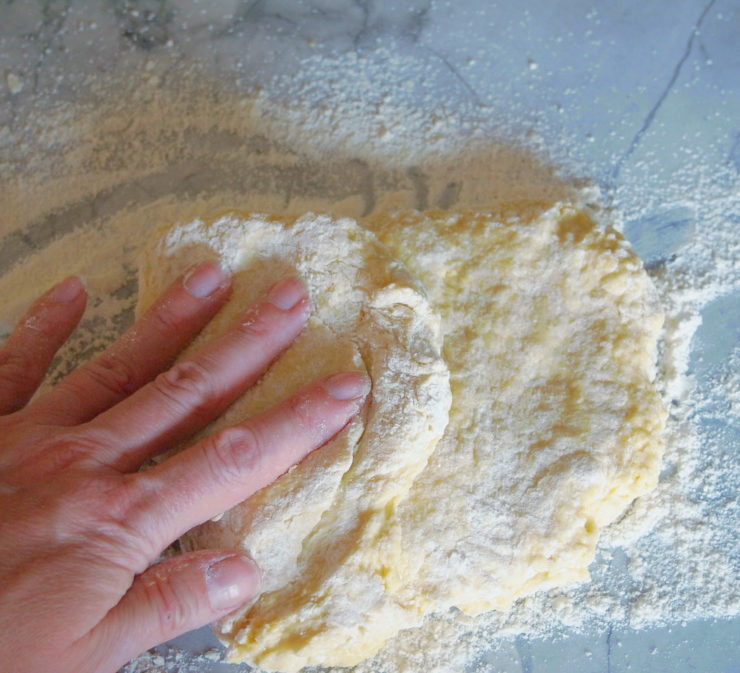 Gently toss the noodles with your hand to lightly coat with flour on all sides. Allow the noodles to air dry for 10-20 minutes before adding to soup. Ensure that the noodles are not touching or else they will stick together. 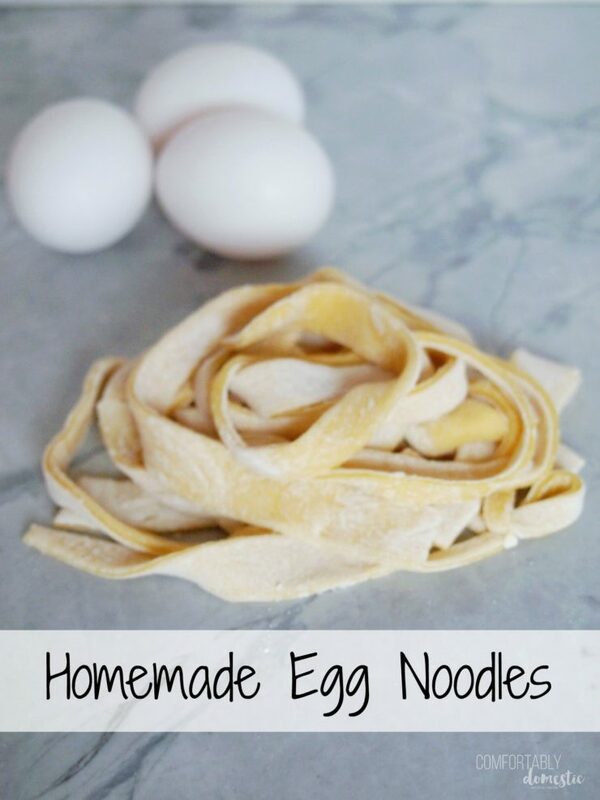 Fresh homemade egg noodles will cook in hot soup in 3 to 5 minutes. Alternately, noodles may be placed in a single layer on a rimmed half sheet pan that’s been lined with parchment paper. Once you’ve ensured that noodles are not touching, freeze them for one hour. Once frozen solid, noodles should be transferred to an airtight freezer bag or container. 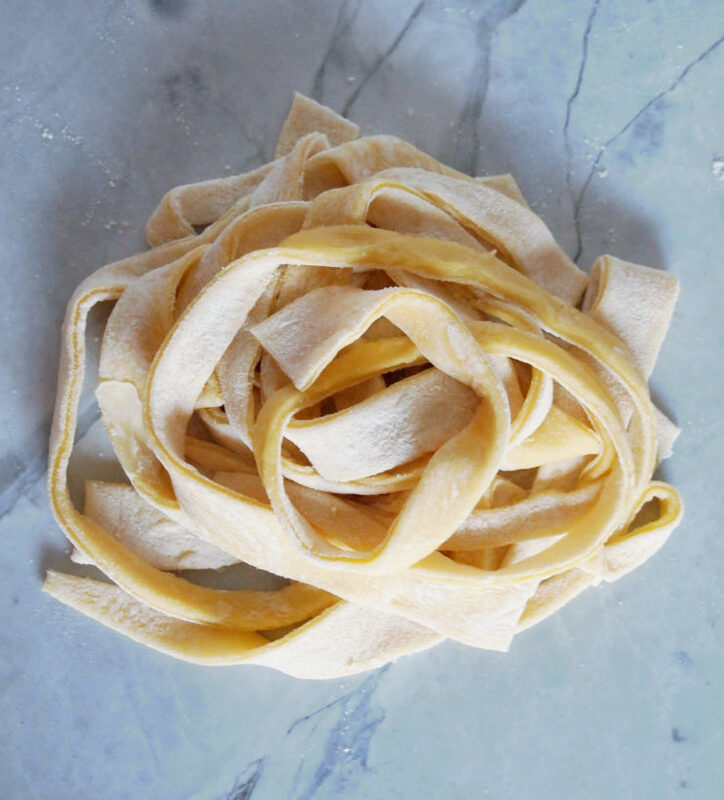 Homemade egg noodles can be frozen for up to 3 months. Homemade egg noodles will expand upon cooking. Therefore, cut noodles to a smaller size than desired upon cooking. Fresh noodles are best when cooked for a short amount of time, so add to soup just a few minutes before serving. To serve homemade egg noodles as a side dish, boil for 3-5 minutes and toss with a little butter or light olive oil and season to taste. My sweet MIL would make homemade noodles all the time. There is nothing better than homemade. Yours look so egg rich and delicious!! 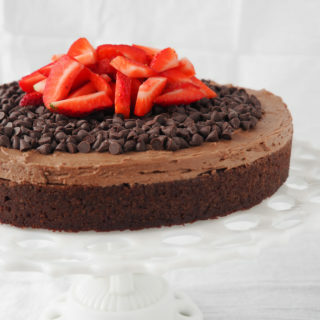 I would love to have some right now. Yum, with a thick chicken and gravy on top. My mouth is watering. 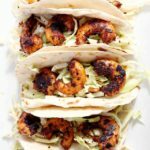 Great recipe and photos. Oooo! I LOVE the idea of chicken and gravy over these noodles! Good idea, Marisa! My husband and I were JUST talking about making our first batch of homemade pasta the other day, but we weren't sure if we could do it without a pasta roller. It's like you read my mind! I am absolutely bookmarking this and showing him today. Thank you! Hooray! You can DO it, Trish! I LOVE those "you can make that?!" moments! It's one of my favorite parts about cooking! Chicken noodle soup really is good for the soul and when it's made with homemade noodles, it completely elevates it. It's all the added love and attention from those noodles! Yours look perfect! 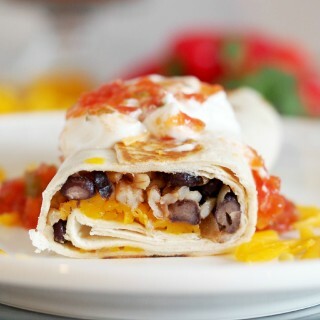 These look like so much fun to make, whether alone, with your significant other, or even the kids! Nothing beats homemade noodles of any sort. And though at first blush it seems intimidating, this post and the instructions make it approachable. I'm so glad that you think so, Dana. I hope that I took a little of the intimidation out of making noodles from scratch. You should totally do it, Traci! OMG, the memories here. I am Ukrainian, and my mom and baba would make homemade noodles all the time. The perfect addition to their chicken soup recipe. I need to make some, thanks for bringing back a piece of my childhood. Oh goodness, Gloria! I adore that story. 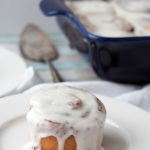 I love it when food invokes such warm memories. Wow. Who knew you could make these so easily. LOVE, love, love how few and wholesome the ingredient list is. So much better than all the processed brands. 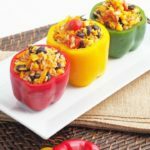 I cannot wait to make these, for both the taste and the nutritional benefits.